Never has irony been more toxic than the planned reissue of Adolph Hitler’s Mein Kampf, which has been prohibited from duplication in Germany since WWII. This reissue comes at the exact moment when anti-Semitism in Europe has risen to proportions not seen in decades. The copyright, owned by the Bavarian government who, to its credit, banned Mein Kampf’s duplication after the war, will expire in December, at which time the Bavarian government will issue a 2,000 page scholarly tome filled with footnotes, criticisms, and annotations put together by the Munich-based Institute of Contemporary History. Footing the bill will be the German taxpayers. This will open the door to other reissues of the book everywhere in Germany, and the resultant fanfare and worldwide publicity will likely be hailed by every anti-Semitic and anti-Israel Islamic terrorist group. This will reignite the smoldering pyre of combustible malevolence against Jews, a malevolence that lives like a bacterial infestation in the darkest recesses of our planet. One can argue, of course, that this hate-drenched screed by a madman whose sick megalomania resulted in the deaths of millions, has been available for years on the Internet and stocked in bookstores throughout the world, including used editions in Germany. Only reprints had been banned. It is estimated that more than twelve million copies were published and various sources estimate that hundreds of thousands still survive in the German language. Most of those who bore the backlash of the Nazi horror have died off and a younger generation has emerged who have no memory of the agony and pain inflicted on past generations. Indeed, the chances are that they have not been exposed to Mein Kampf and, at this stage, might have viewed it merely as an artifact of ancient history. 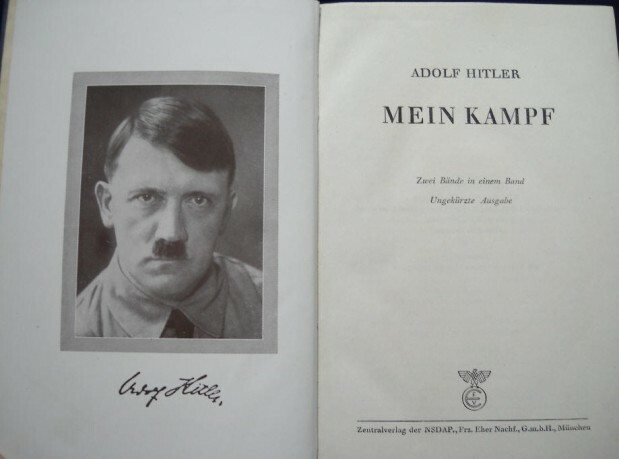 My concern is that the revival of Mein Kampf, burnished by the Internet and social networking, will open up a Pandora’s box, offering legitimacy and awareness to a global audience. Even now, the Internet is chockfull of relentless anti-semitic, anti-black, and pretty much anti everything that underpins democratic values and spews hate talk and propaganda emanating from extremist groups of all kinds. Indeed, ISIS has coopted many of the salient hate talk that vomits over the pages of Mein Kampf. Calling attention to it in today’s toxic environment will surely reinforce the stereotypical malignance that Mein Kampf championed and which fueled WWII and the Holocaust. I fear that the exposure will seduce many to discover this malignant tome and, as was once the case, buy into its deeply troubling message. For many like myself who lived through that dark period, reading Hitler’s Mein Kampf ravings can be painful, especially his frequent harangues about “the Jew.” Two passages seem representative of this hate speak. The black-haired Jewish youth lies in wait for hours on end, satanically glaring at and spying on the unsuspicious girl whom he plans to seduce, adulterating her blood and removing her from the bosom of her own people. The Jew uses every possible means to undermine the racial foundations of a subjugated people. …the personification of the devil as the symbol of all evil assumes the living shape of the Jew. Believe me, as a writer, I understand the power of words, but even so, I still find it difficult, despite the historical evidence, to get my head around the fact that such words could have fueled the Holocaust. Orwell was no slouch when it came to predictive insights. Unfortunately, for all of us, the echo of Hitler’s voice from hell is a chilling reminder that evil is a powerful, ever-present reality, and it requires that we maintain our strength, our vigilance, and our courage to prevent it from overwhelming us.